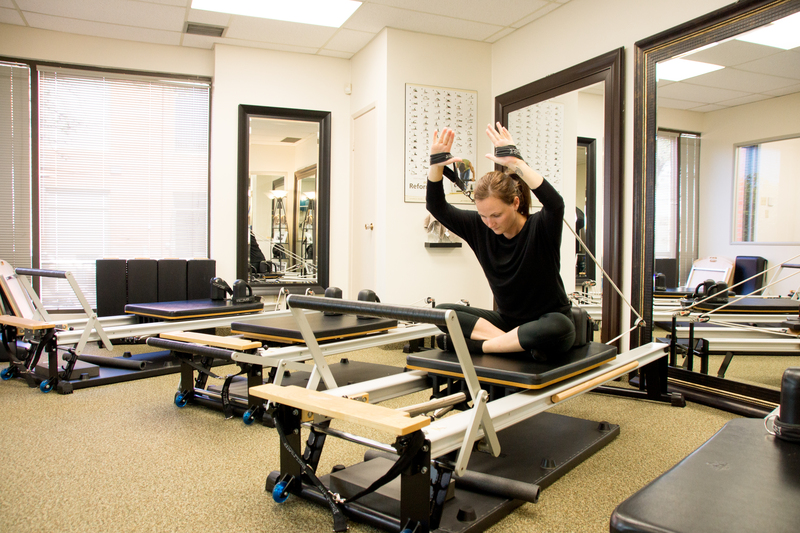 All our Pilates classes at A Lyrical Body are with certified STOTT PILATES TM instructors. With the nature of Pilates you will find that you always work at improving your core strength but our strength training classes will provide you with increased flexibility, muscle strength and tone whereas our cardio classes will work on improving your cardio vascular capabilities and endurance. Our stretch class will help you to improve your flexibility. By offering multiple different classes we can help you to find the style of class that will best match your fitness goals and needs as well as your budget and availability. You will not find a schedule on our website as we book classes based on our clients’ scheduling needs. It allows us to be flexible with the ever changing availability of our clients. Get a full description and price list below of all our Pilates classes. Private sessions consist of yourself and your instructor. The class is tailored to your individual needs and requirements. You will get to use whichever piece of equipment will work your body best, allowing your instructor to create a tailor made class. Private sessions are perfect for the client with an irregular schedule or needs for rehabilitation. They are also ideal for anyone wishing to excel in a particular sport or activity e.g. golf, figure skating, ice hockey, skiing. Semi private sessions consist of yourself and another client with your instructor. This other client can be someone you know or someone the studio pairs you with. The class is divided between mat work and reformer work. This allows you time to focus on strengthening your abdominals as well time to lengthen and tone the rest of your body. These classes are ideal for friends, couples or parents and children to spend quality time together while getting a work out. Semi privates are also excellent for clients who prefer exercising in a smaller, more intimate group. Quartets consist of 4 clients and the instructor. These other clients can be people you know or people the studio matches you with. The class is divided between mat work and reformer work. This allows you time to focus on strengthening your abdominals as well time to lengthen and tone the rest of your body. These classes are great for feeding off others’ energy and getting a great work out! They are however, not advised if you have special requirements such as rehabilitative needs. Barre Pilates combines the strength, grace, agility and flexibility of Ballet exercises performed at the Barre with core strengthening and the amazing principles of a Pilates workout. Set to music, this all over body workout will help to improve your posture while using Pilates light equipment to challenge your body and improve your coordination. The Barre classes consist of only 4 clients and the instructor. These other clients can be people you know or people the studio matches you with. 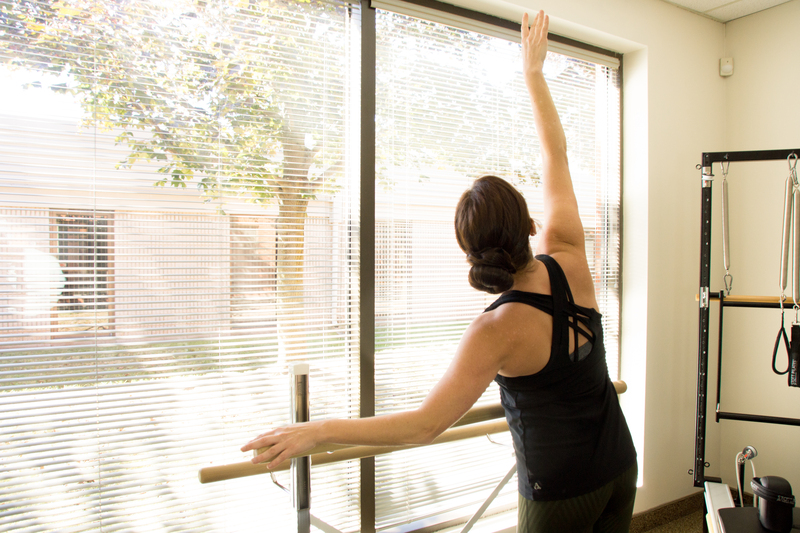 Our Barre classes will give you a great work out but with such a small class also allow for lots of individual attention and personal cuing and correcting. No Pilates or dance experience necessary. Let us bring out your inner ballerina! Mat and light equipment classes consist of up to 8 clients with your instructor. Different light equipment is used on a rotational basis. 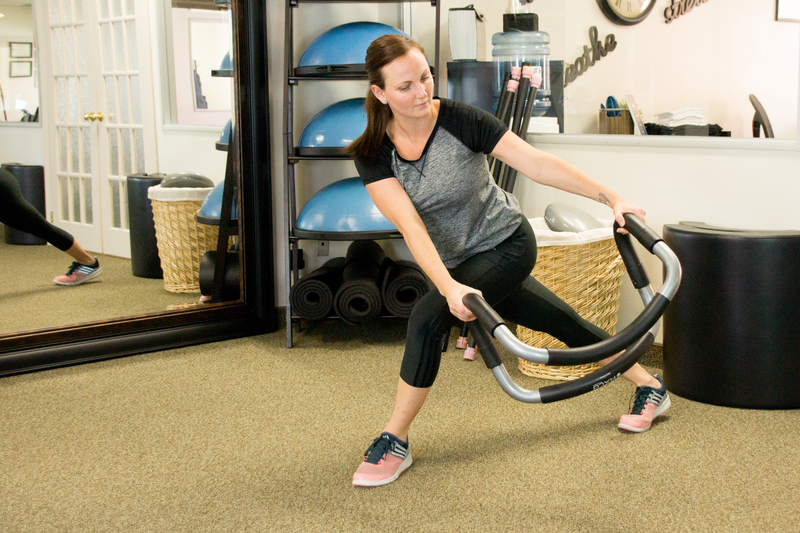 Week to week the repertoire changes between using stability balls, foam rollers, fitness circles, flex bands and toning balls. This allows you to focus on strengthening the core while adding variety to your workout. 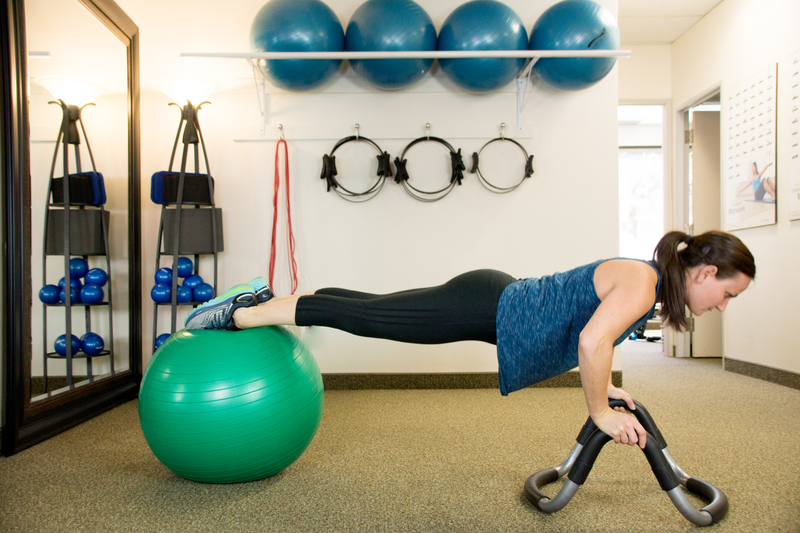 Using different pieces of light equipment challenges balance, strength and lengthens and tones the muscles with the emphasis on abdominal strength. These classes are a 30 minute Stretch Session. Come into the studio to feel lengthened, stretched and energized. Led by your instructor a maximum of 8 clients will be put through multiple different movements and stretches, helping your body discard the everyday stresses of computers, cars, standing and sitting for hours at a time. This class is also excellent for clients who like to be active during their week but perhaps don’t have the time to stretch themselves properly after their activities. No Pilates experience is necessary for these classes. Please note Stretch Classes are held on Saturdays from 9:30-10am. These are drop in classes on a first come, first serve basis. Classes might not run on long weekends. The FastFit classes are an intense workout but suitable for all ages and fitness levels. With only 4 clients to a class our instructors are able to tailor the classes to client’s individual needs and restrictions. These classes are perfect for clients not getting cardio exercise in their weekly routine or would like to add variety to their weekly workout. At A Lyrical Body we offer a fantastic, high energy Bootcamp class that works you hard but still keeps your safety and individual needs in mind! Our Bootcamp classes are limited to 8 people, allowing our instructors to spend time correcting and cuing as well as challenging every single person in the class. In this one hour Bootcamp class you will be working on your cardio as well as strength training. We use free weights, kettle bells, medicine balls and many other pieces of equipment to help you increase your strength and endurance. No fitness or Pilates experience is necessary as we will lead you through the workout step by step. Tired of going to a Bootcamp or fitness class where you are one of 20 or more people? We never go over 8 clients and we always keep your individual goals, injuries and abilities in mind. Bootcamp classes run Monday nights at 8pm.